← 224 "Monty Can't Buy Me Love"
The Simpsons are on the couch, which is floating in the open sea; an iceberg crashes into it, sinking the couch. "They Saved Lisa's Brain" is the twenty-second episode of season 10 that aired on May 9, 1999. 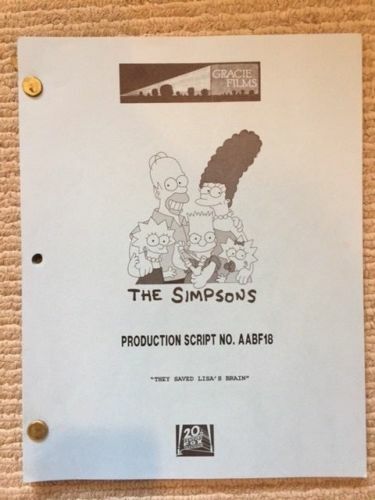 The episode was written by Matt Selman and directed by Pete Michels. "Lisa is invited to join the local MENSA society after penning an inspiring letter over Springfield's complete humiliation at the hands of her father." The citizens of Springfield take part in a contest hosted by KBBL radio to see who can do the stupidest thing. Lisa who is forced by Marge to watch is very disgusted by this as it shows how dumb the town is, especially with participants like Bart swallowing various objects and Homer singing while dressed in a suit made of popcorn kernels and popping them with hair dryers. After the judges reveal the winner, themselves for watching the contestants make spectacles of themselves the participants revolt and start a riot. Lisa is disgusted and writes a letter to the newspaper criticizing the town's lack of refinement. Lisa's letter is published but is annoyed when no one will read it (Homer would rather sit still and do nothing than read her article). She receives a letter to go to a house for a secret meeting. Upon visiting the place, she is welcomed as a member of Springfield's MENSA chapter, a group of highly intelligent people. During a recreation of the renaissance in Springfield Park, their gazebo is unrightfully being used by Lenny, Carl, and Barney, who stand around drinking and tell Dr. Hibbert to beat it when he says that MENSA booked the gazebo. When they complain to Chief Wiggum he ignores them and joins the others in drinking. Outraged that, as Hibbert put it, "they live in a town were the smartest have no power and the stupidest run everything", they confront Mayor Quimby for their grievances, who mistakenly thinks they found he stole lottery money and flees town indefinitely. Now without a leader, they consult the city's constitution, which allows for the most educated citizens to run office on his behalf. 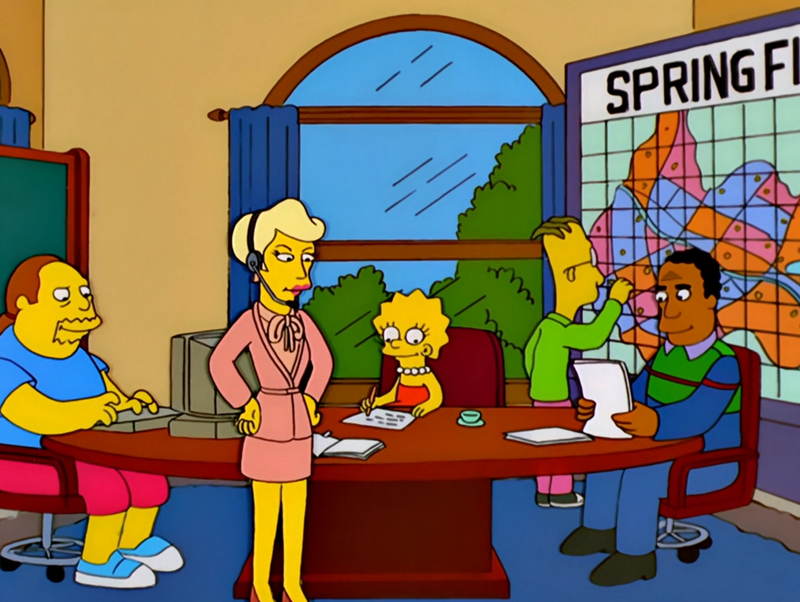 The newly appointed leader then takes this opportunity to make beneficial changes to Springfield, including euphemizing jury duty to "the Justice Squadron" to encourage more people to attend, remove the green light from the traffic lights and implementing clocks to run on the metric system. However, their governance starts crumbling when each member selfishly decides to pass laws on their own without consulting with the others. 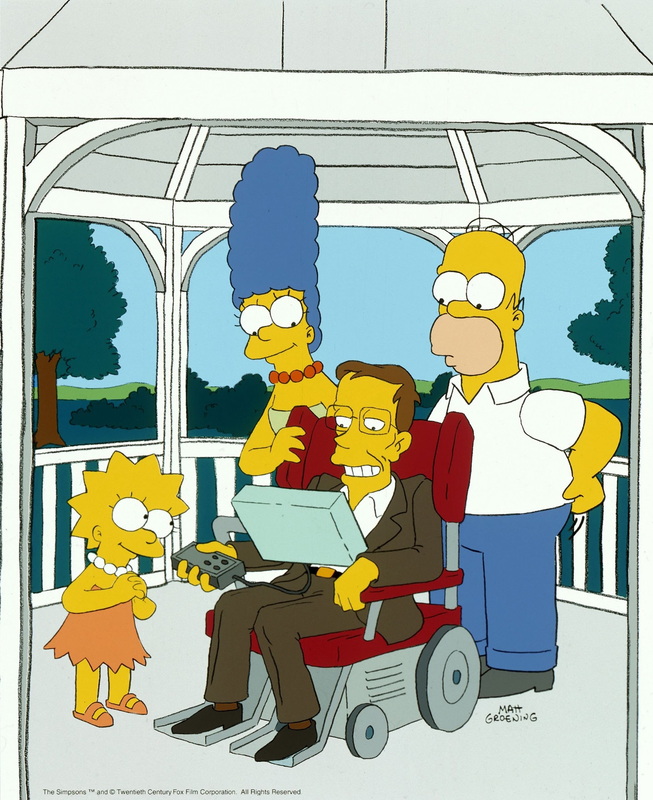 During a town meeting in the park, they openly argue about which laws ought to be passed, when Stephen Hawking makes a surprise visit and criticizes their falling utopia. The town falls into a riot and Hawking reassures Lisa that sometimes even the most intelligent are fallible. Except him, of course. Marge tells Lisa that everyone has a different idea of the perfect world, only to be caught by Hawking reading that message off his computer screen. Modified on November 7, 2017, at 00:16.